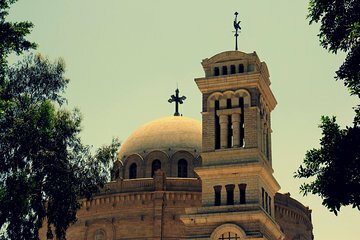 Explore Egypt’s Christian history on this half-day private tour of Coptic Cairo. Visit the area’s churches, including the Hanging Church and Abu Serga (also known as Saints Sergius and Bacchus Church), which is built on the ground where it is believed the Holy Family sought refuge. Plus, stop by the Coptic Museum and see the ancient artifacts from one of the world’s oldest Christian communities.